If you’ve ever dealt with a clogged gutter, you already know what a pain it can be. There’s a lot that can build up in your home rain gutters, from birds’ nests to twigs, leaves, and branches from overhanging trees. Gutter guards in Houston, TX help you keep your gutters clear, so they can function as effectively as ever. This keeps your foundation safe, and it protects you and your family from a potential mold problem. Simply put, gutter guards make maintaining your home rain gutters easy. You don’t want to deal with any hassle that you don’t have to, and gutter guards will make sure that’s the case. 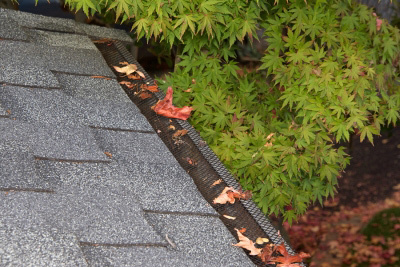 Gutter guards cover your actual gutters so debris like twigs and leaves won’t clog them up. Although you’ll still have to stick to your gutter maintenance schedule, gutter guards will simplify the process. This is especially helpful for people who tend to forget about maintenance or don’t have the capacity to check on their gutters on a regular basis. Gutter guards serve as a helpful backup to set you up for success. When your gutters get blocked up, water will flow over the edges and land on the ground surrounding your house. This is a problem because the moisture can seep into your foundation. Foundation cracks may start small, but it’s important to deal with them before they have the chance to grow. A large foundation crack can take a lot of work to fix, so use gutter guards to minimize your chances of needing this kind of repair. Gutter guards prevent blockages and keep the water flowing through the gutter system, not leaking over the sides. A foundation crack isn’t the only problem a clogged gutter can bring about. Malfunctioning gutter systems may let moisture inside the home, which can contribute to mold growth. This brings down your indoor air quality, agitates asthma and allergies, and can spread throughout the entire house. If your gutters are kept clear with gutter guards, the moisture will go where it needs to go instead of into your home. © 2019 Berger Home Services. All Rights Reserved.